After a year of celebrations of his seventieth birthday, including several recordings of orchestral music, Jos Van Immerseel returns to chamber music and the accompaniment of young talents, two absolute priorities for him. In Chouchane Siranossian he has found a worthy partner, as gifted on the modern violin as she is on the Baroque instrument, a pupil of Tibor Varga, then of Zakhar Bron, as well as a disciple of Reinhard Goebel, whose first recording, on the Oehms label, attracted great attention (winning a ‘Diapason Découverte’). 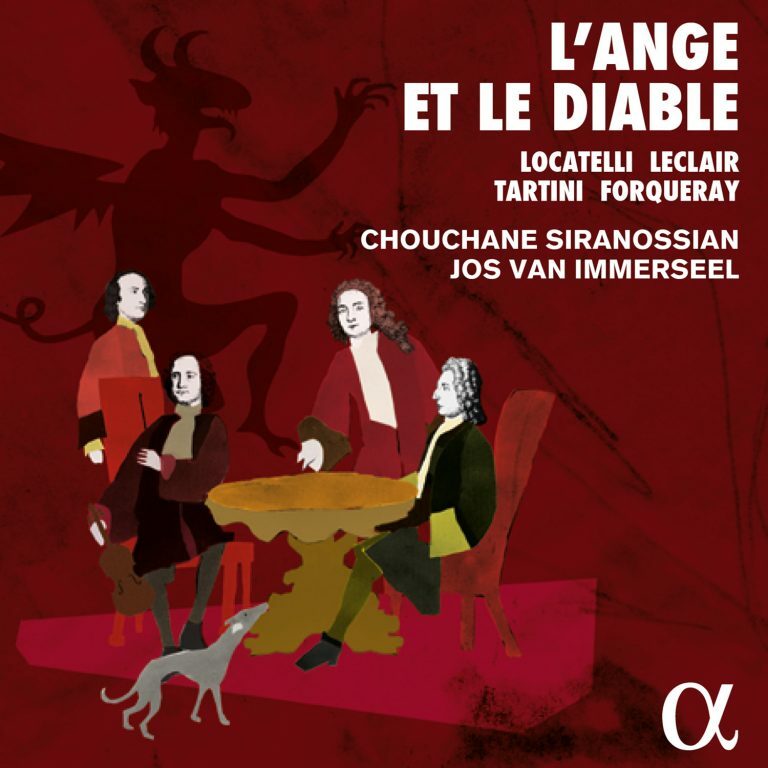 Here it is the Baroque violinist who engages in dialogue with the harpsichord of Jos Van Immerseel in a Franco-Italian programme juxtaposing the music of the ‘Angel’ Leclair and the ‘Devil’ Locatelli, not forgetting Tartini’s famous ‘Devil’s Trill’ Sonata . . . Indeed, all this music is ‘devilishly’ difficult to play, but the Franco-Armenian violinist shows perfect mastery of it, combined with great inventiveness.